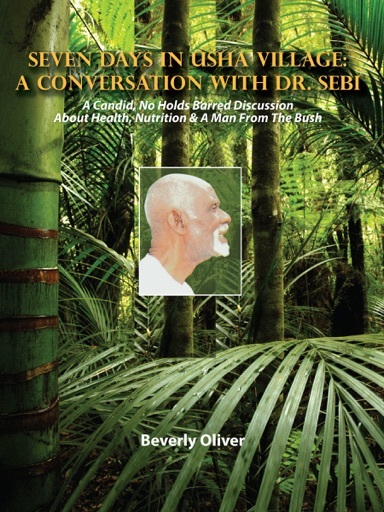 In his homeland La Ceiba, Honduras, natural healer and alkaline advocate Dr. Sebi takes his visitor author Beverly Oliver on a seven-day roller coaster-like journey into his transformed life in the United States, the Caribbean and Honduras. For seven days in November 2005, this African man born in Honduras, as his grandmother Mama Hay described him, shared tales of his change from Alfredo Bowman steam engineer in Los Angeles to Dr. Sebi, renowned international natural healer, using his herbal compounds created by his Usha Research Institute. But there were roadblocks, including an arrest and a New York Supreme court trial, on Dr. Sebi's trailblazing journey to cure people of cancer, diabetes, AIDS (diagnostic reports inside ebook) and sickle cell anemia. Emotionally revved up, yet insightful, enraging at times, yet revealing and informative, Seven Days in Usha Village: A Conversation with Dr. Sebi (question and answer style) is a seven-day visit in the anomalous life of natural healer Dr. Sebi.